Meanwhile cook the bacon in large skillet over medium-high heat until crisp. 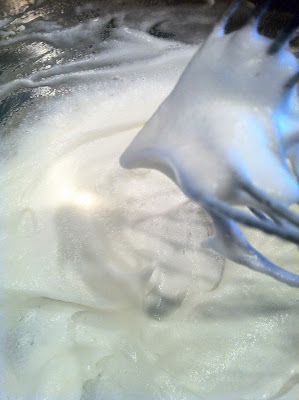 Remove and drain on paper towels, reserving the rendered bacon fat. 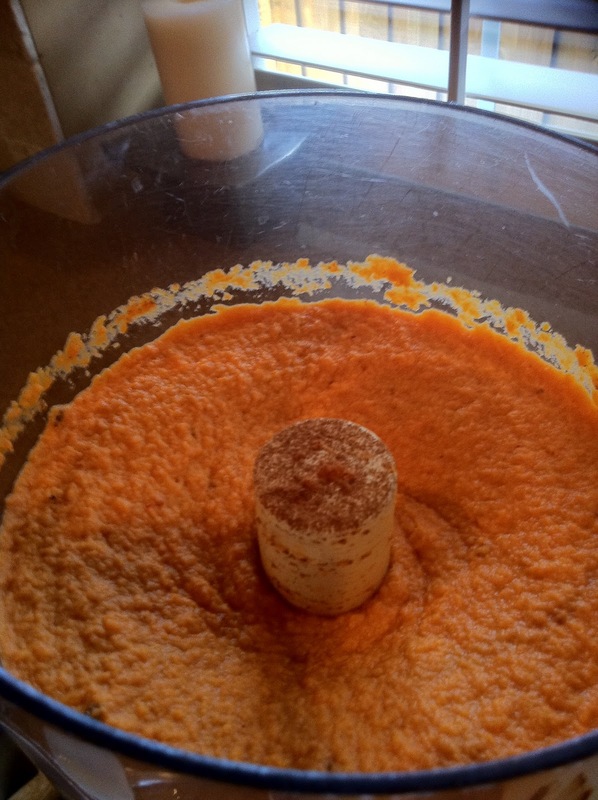 Peel the sweet potatoes and transfer to a food processor. Pulse to puree. Add the chopped chipotle, adobe sauce, maple syrup, orange juice and zest, and egg yolks. Mix together until combined. Transfer to a bowl, add 1/2 of the bacon, and stir to combine. Season, to taste, with salt and pepper. Grease a 2 quart baking dish with some of the reserved bacon fat and gently pour in sweet potato souffle mixture. Sprinkle with the remaining chopped bacon. 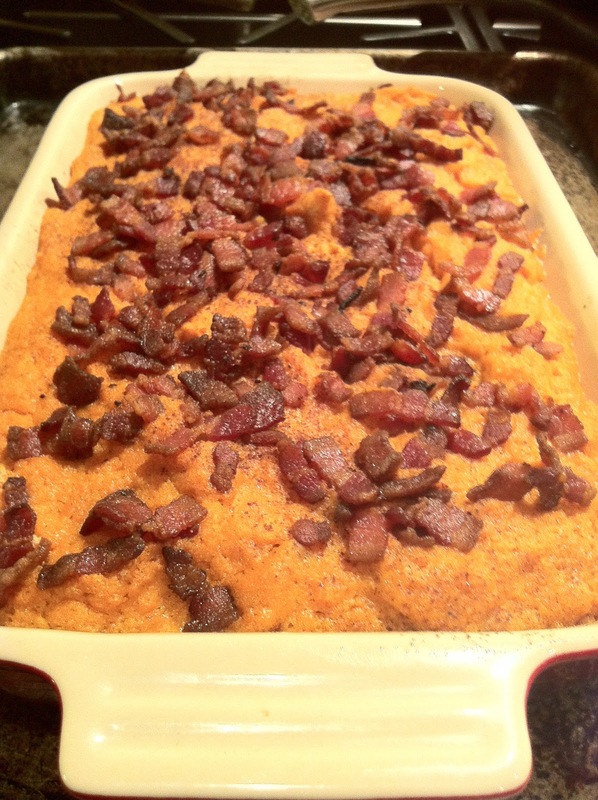 Put the baking dish on a sheet tray and bake 40 minutes.